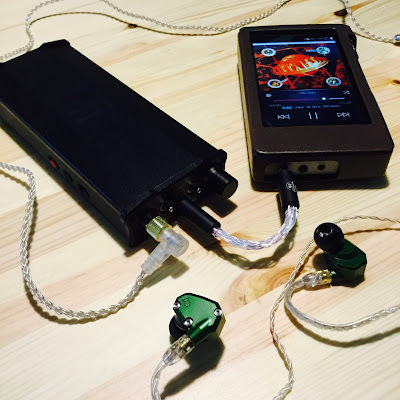 ifi Micro iDSD BL and iBasso DX200 vis SPDIF and Campfire Audio Nova. Thank you to ifi for sending me the ifi Micro iDSD BL to try out. I dont usually do loaners these days as its a lot of work writing a review, taking pictures etc etc. But I have had a steady communication with ifi for a while now and that is also important in my books. Plus pre Head pie i won an ifi ipurifier in one of their Head-fi contests. So time to give back. Unfortunately even though they did afford me ample time to try out the ifi Micro iDSD BL due to it being over the New year and into heavy work load January and organizing my house for a new in coming baby I did not get to put it through its paces as much as would have liked to. 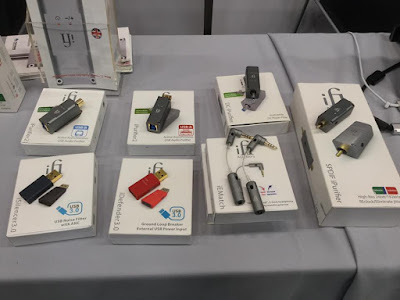 The ifi Micro iDSD BL is packed with many functions, an audio swiss knife If you will, it contains so many options it truly initially stopped me in my tracks for a while as I tried to figure out where to begin. ifi Micro iDSD connected to an ipod touch via mini to mini and iBasso IT03 IEMs. 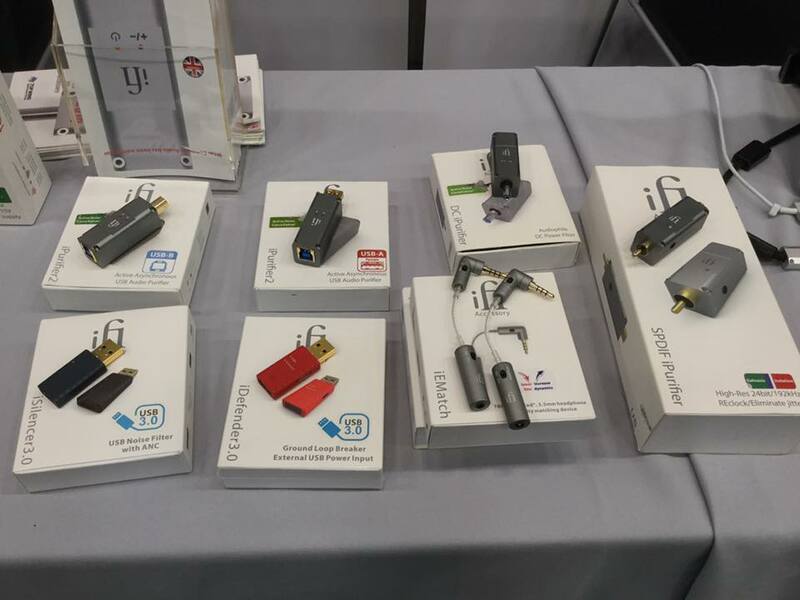 - `The iFi micro iDSD Black Label is the newest iFi micro flagship product. An excellent array of cables and accessories. Digital Audio Players (DAP) and home SPDIF sources are abound. Flexibility remains key and the micro iDSD BL retains the intelligent SPDIF in/out socket for optical/coax signals. So for those who wish to upgrade their DAP, simple use it as a transport and feed the micro iDSD Black Label.` - via ifi website. So many mind boggling options. I tried the ifi Micro iDSD BL with a simple ipod set up, via SPDIF to the iBasso DX200, my basic home set up and also out of my Macbook. In all the configurations the ifi proved to be a high performer, not surprising considering how long they have been around and the many products that ifi have made. The ifi iDSD BL is definitely a souped up version than its earlier sibling with better specs overall. Its sound is quite neutral, detail orientated and overall quite transparent. The sound stage is wide, separation between instruments is of a high quality, the reproduction of the source material is very honest and accurate. If one is looking for a unit on the warm sounding side, this isnt it, and thankfully so. One also has the options of the many many switches to toggle between for larger headphones or sensitive IEMs, to increase/decrease power or gain. At $US549 the ifi Micro iDSD BL (Black) is a good purchase. Its multiple inputs and outputs make it a versatile unit that can suit a users many audio needs. It certainly has a decent price /performance ratio. As with all ifi products it is well designed and manufactured. It can be considered more transportable than portable, and is more ideal for an addition to home set up. whether in conjunction with other ifi products, and existing home system or by itself with a set of active speakers. 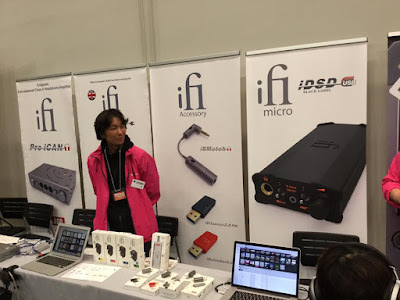 As seen at a Tokyo Headphone show. The ifi Micro iDSD BL is a solid and well made unit that goes for a sensible price. Its many inputs and outputs make it a unit that can be used with a variety of products. 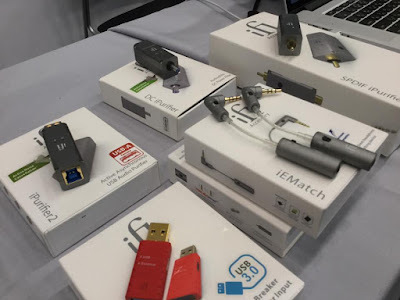 Whilst the size certainly puts in more in the transportable area than as a possible portable device, I would see most users preferring to utilize the ifi Micro iDSD BL as a part of home system or independently with a set of active speakers, connected to a computer or simply fed with a source and enjoyed at a desk via a set of earphones or headphones. The sound of the ifi Micro iDSD BL model is one of clarity, great details, authentic reproduction of the source materials, medium to wide sound stage, full bodied sound in the lows and mids without become flabby, dark or boomy, the highs are soft and extended. 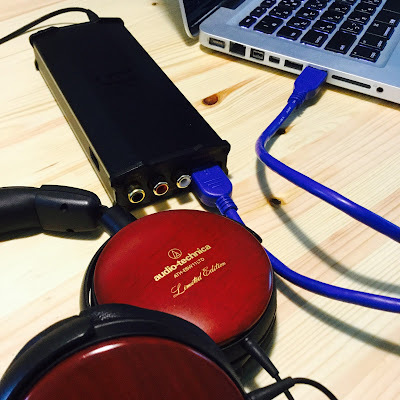 It certainly packs enough power to drive most headphones with ease. And has enough subtle settings to also make it suitable for sensitive IEMs. A wide variety of setting switches means that the user can also customize it to their preferred sound signature. 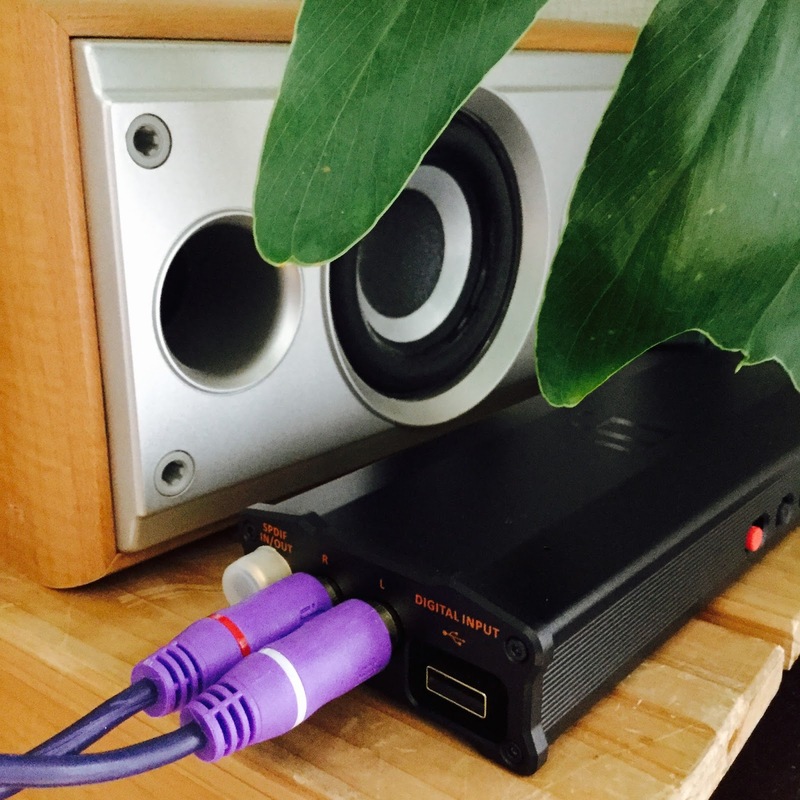 To conclude the ifi Micro iDSD Black is a versatile product that does neutral very well, but also by way of various switches and settings allows the users to customize their sonic experience. It plays well with large headphones and also more sensitive IEMs. Its compatibility and many inputs and outputs make it a versatile future proof machine. 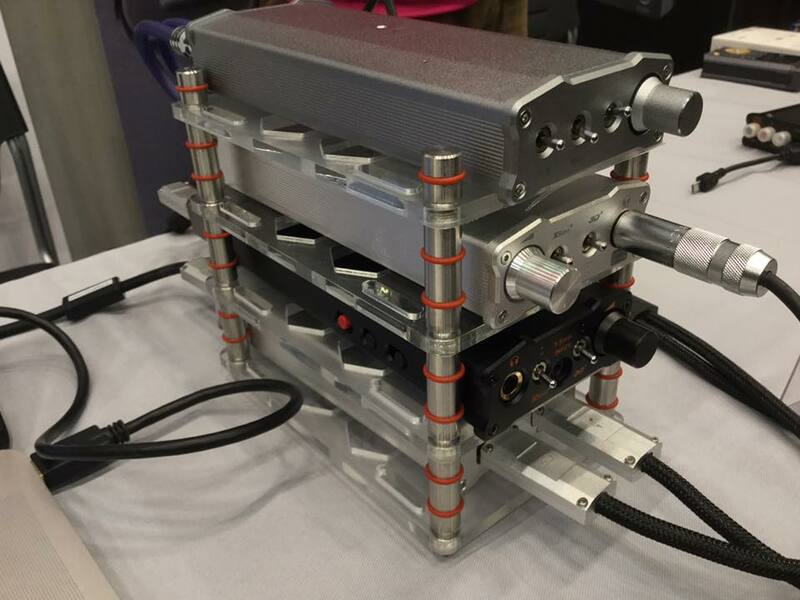 Thank you to ifi for loaning Head pie the ifi Micro iDSD Black. How is the channel imbalance? I feel the status of that gets left out often in reviews/impressions. I have the Dacportable, how does this compare to it (sound wise & amp wise, not features). I have been looking for a optical input DAC/AMP to use with my xboxone S while watching movies. The BL, the chord mojo, and the m9xx are all on my radar. Thx for the initial impressions post. I didnt have any issue with channel imbalance. I find thats quite rare these days with decent gear. I did have one pre-Head pie piece of gear that had channel imbalance and it annoyed me. If i suspect something I use an app If its apple compatible to check, If the unit doesnt have a L/R balance setting already. Awesome, Thx for the quick response. The reason I asked about the channel imbalance is because a lot of people/reviewers have said they have noticed a channel imbalance up till 8:30-11:00 (depending on the reviewer) o'clock on the volume dial. I am currently using the Dacportable with the MH40 & AKG 7XX. How would you compare the sound between the Dacportable and the BL? How do we know to set the idsd power on eco/normal/turbo? Because when i use ath im03 and ath r70x, it has same loudness on eco power. Also when i try to put r70x on turbo power with ultra sentivity, why it stopped every 3 or 5 seconds?whats wrong? Thanks for the great review! Have you had a chance to compare this to the RME ADI-2? I know the RME is double the price but I wonder if it sounds much better than the iFi. I’m looking for an amp/dac that will set me for a while and that should stick around even if I end up upgrading headphones. Right now I’m using the Andromeda, HD6XX, HD58X, and MDR-EX1000. No, sorry. 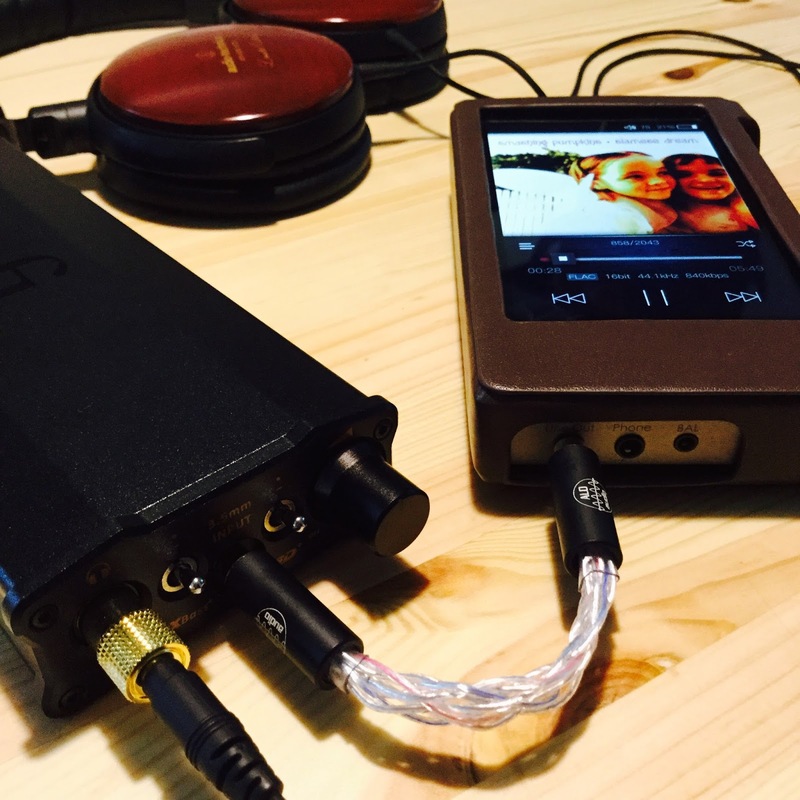 I haven`t tried the RME ADI-2.